An annual one-night count found 8,576 homeless individuals in San Diego County. 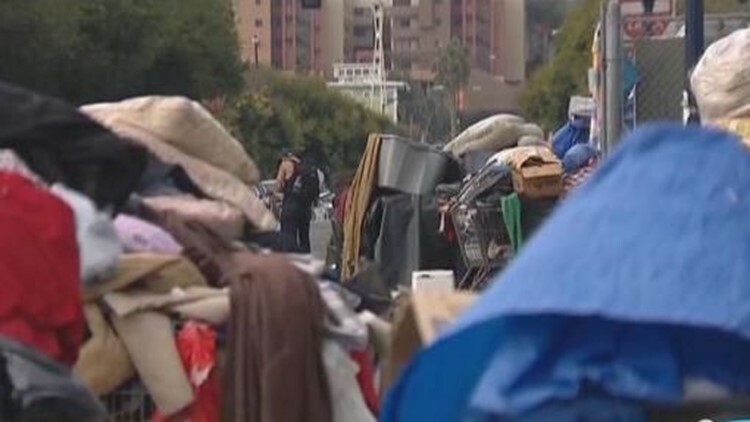 SAN DIEGO (CNS) - An annual one-night count found 8,576 homeless individuals in San Diego County. That number is a 6 percent decrease from the 2017 total and a 9 percent decrease since 2011, but county Supervisor Ron Roberts, said it's not yet time to celebrate. "Seeing the overall number decline was a positive reversal, but there are far too many swings in data to declare a trend or to not see other areas where we need to increase our focus," he said. "We continue to face many challenges, highlighted by a lack of new housing, a condition that squeezes hardest those with the fewest resources. The only marginal decrease in the number of chronic homeless is among my biggest concerns." The federally mandated snapshot count took place Jan. 26. The count helps communities, service providers and policy makers understand homelessness hot spots and challenges. It's also critical to securing about $20 million in federal funding for housing and services, according to the task force. After being in decline for several years, homelessness among military veterans rose 24 percent, with 1,312 counted as opposed to 1,054 a year earlier. Overall, the count identified 4,990 unsheltered homeless individuals in the county, an 11.2 percent decrease from the 5,621 counted in 2017. The number of homeless individuals in shelters was 3,596, a 2.8 percent increase from the 3,495 counted in 2017. The number of hand-built structures or tents, meanwhile, decreased 24 percent from 937 to 716, with downtown numbers falling sharpest. "This is a one-day snapshot that is a positive indication that we are getting the most vulnerable, unsheltered San Diegans off the street," said San Diego Councilman Chris Ward, who is vice chairman of the task force. "Finding permanent housing remains our ultimate goal and we need a renewed focus on permanent units to truly create a pipeline that moves people from our streets, to our shelter, connects them with necessary services and ultimately results in a housing accommodation that meets their needs."